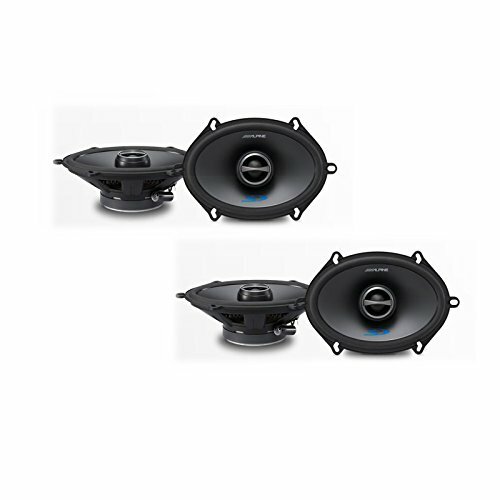 This bundle contains two of Alpine SPS-517 5x7" Coaxial 2-Way Speaker SetAlpine sound tailor-made for easy factory speaker placement.Introducing the Type-S speaker line up with multiple size options that fit almost any vehicle. If you want to add incredible sounding Alpine speakers to your system, this is the way to go. This latest offering from the popular Type-S family of speakers is a best bet upgrade, and still budget-friendly.OverviewGreat sounding speaker upgrade at a competitive price.Perfect for OEM upgrade, with many sizes to choose from to suit almost any vehicle.New cosmetics that look good in your car, and fit easily in stock speaker locations.Improve the output and sound quality of your vehicle with these highly efficient speaker choices.High efficiency design runs easily off of factory or built-in head unit power.